We are a leading Manufacturer of index able and brazed tool holders, solid carbide end mills, solid carbide rotary burrs, h.s.s. tool bits and h.s.s. center drills from Delhi, India. 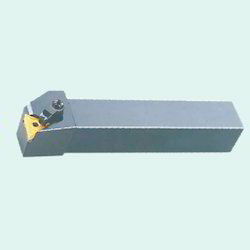 With desire to cement our reputation in the market, we are engaged in offering an excellent range of Index Able And Brazed Tool Holders. Used for performing various activities like turning, grooving, boring and drilling, provided tool holders are designed under the vigilance of our skilled professionals by utilizing the best quality raw material and cutting edge technology. Our quality controllers test these tool holders against varied quality norms so as to ensure their flawlessness. We feel immensely pleased to offer an exclusive gamut of Solid Carbide End Mills. 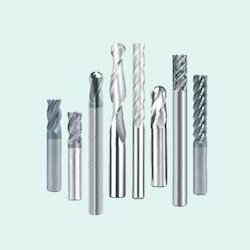 Used for applications like pocketing, slotting, drilling and general-purpose machining, offered end mills are designed by using the finest quality raw material and sophisticated technology by our adept professionals. 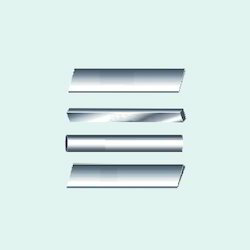 In order to ensure their durability, provided end mills are sternly tested by our quality controllers. 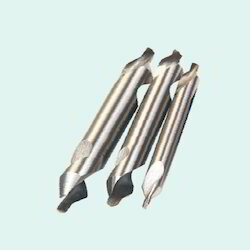 Furthermore, we offer these end mills in various designs and specifications, as per the needs of our esteemed clients. Being a customer oriented firm, we are engaged in offering a wide range of Solid Carbide Rotary Burrs. 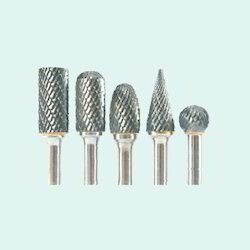 Used in varied applications like in porting, die grinders, rotary tools and many more, provided rotary burrs are designed under the supervision of our skilled professionals using top notch quality raw material and cutting edge technology in adherence with set industry norms. So as to maintain their flawlessness, offered rotary burrs are rigorously tested on variegated parameters by our quality examiners. Owing to our immense years of industry experience, we are offering a huge array of H.S.S. Tool Bits. Our offered tool bits are designed by using optimum quality raw material and sophisticated technology by our adroit professionals in line with set industry standards. Widely demanded for battery operated tools, pneumatic-electric tools and power tools, these tool bits are strictly tested on diversified parameters in order to ensure their quality. Clients can avail these tool bits from us at nominal prices. We are the leading supplier and manufacturer of H.S.S. Center Drills. Looking for Indexable and Brazed Tool Holders ?